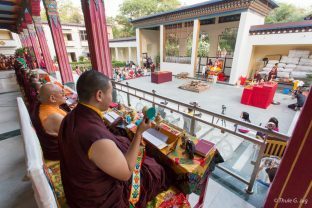 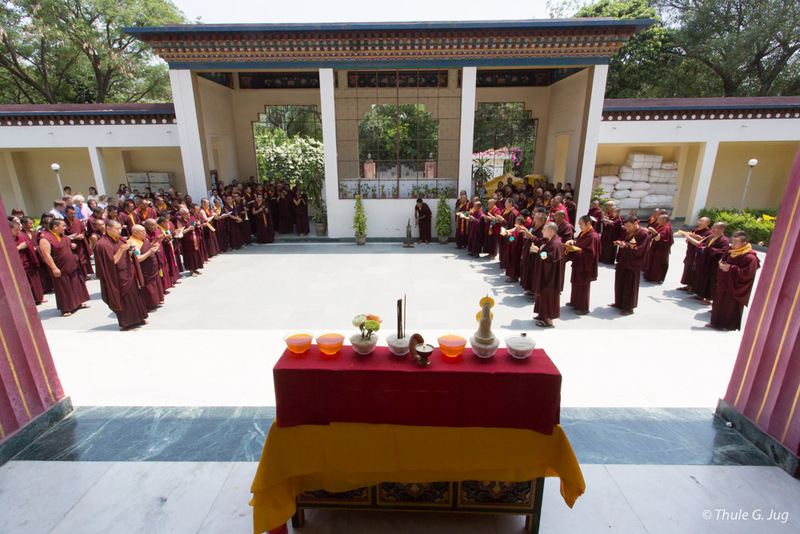 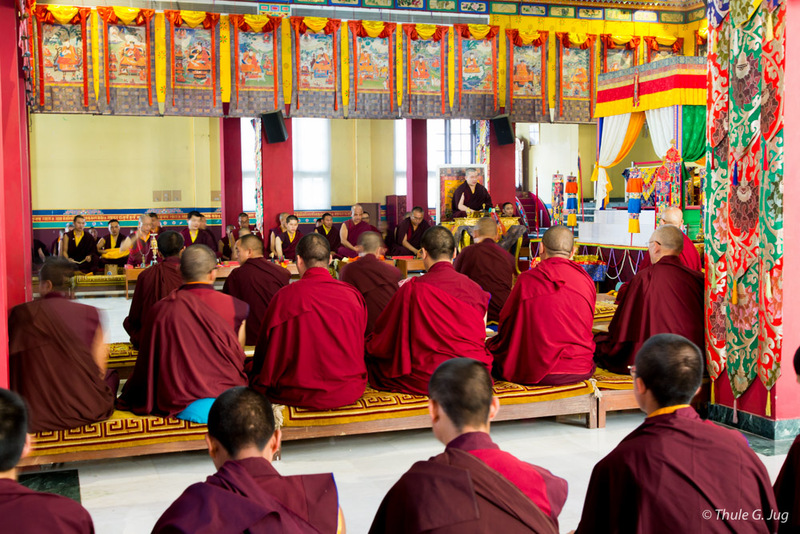 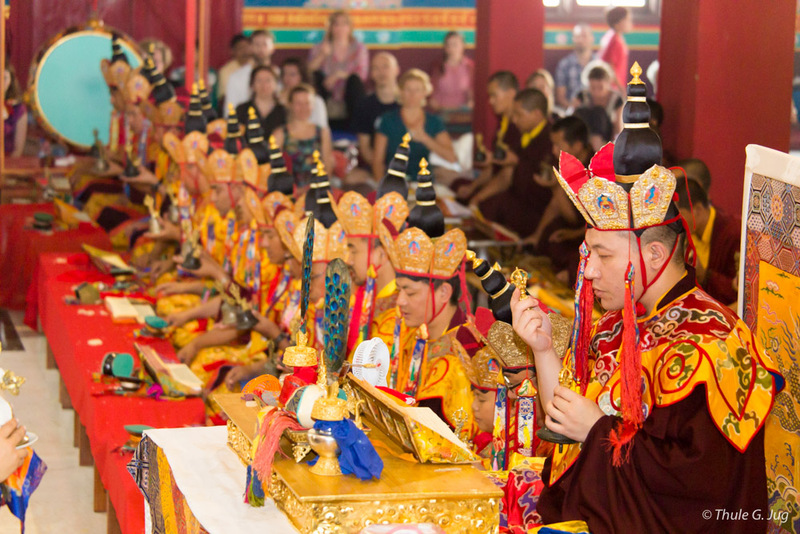 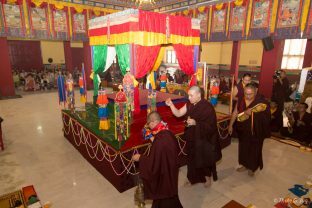 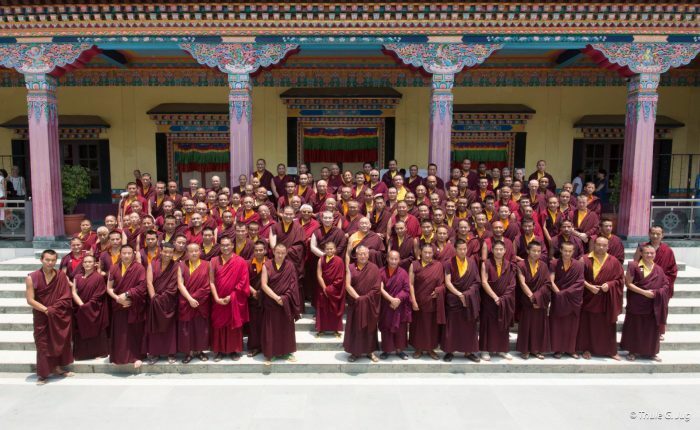 From 1-8 June 2015, Thaye Dorje, His Holiness the 17th Gyalwa Karmapa, led traditional ceremonies in honor of his late teacher and Karma Kagyu lineage holder, His Holiness Kunzig Shamar Rinpoche. 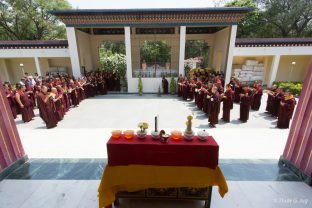 Shamar Rinpoche had passed from this life one year previously, according to the Tibetan calendar. 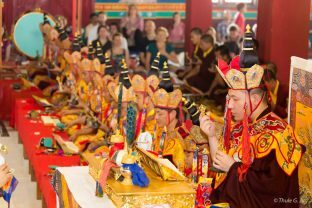 Karmapa led extensive pujas of Chakrasamvara, an important buddha form for the Karma Kagyu lineage. 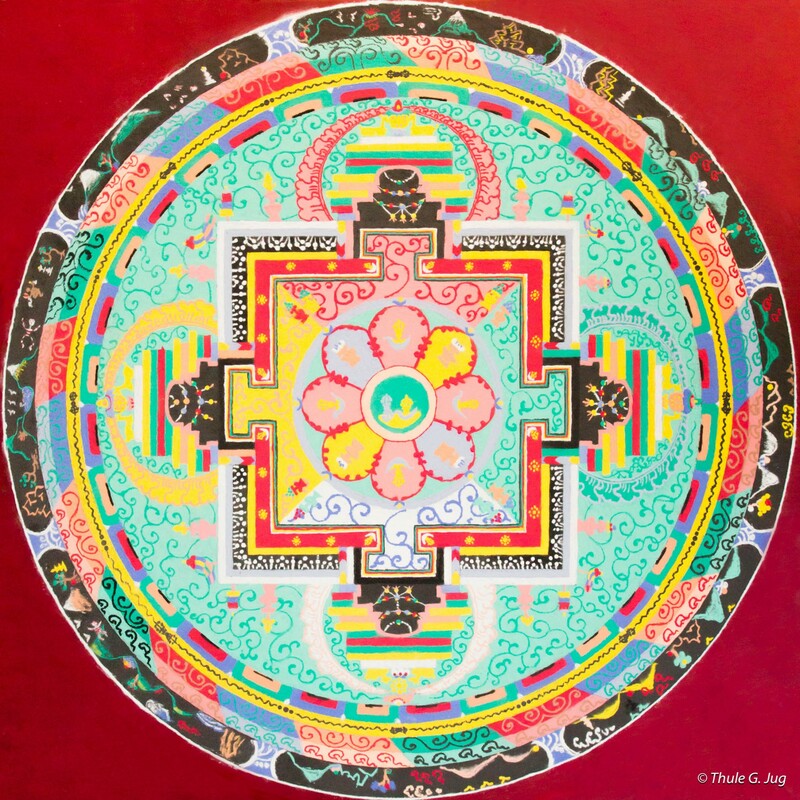 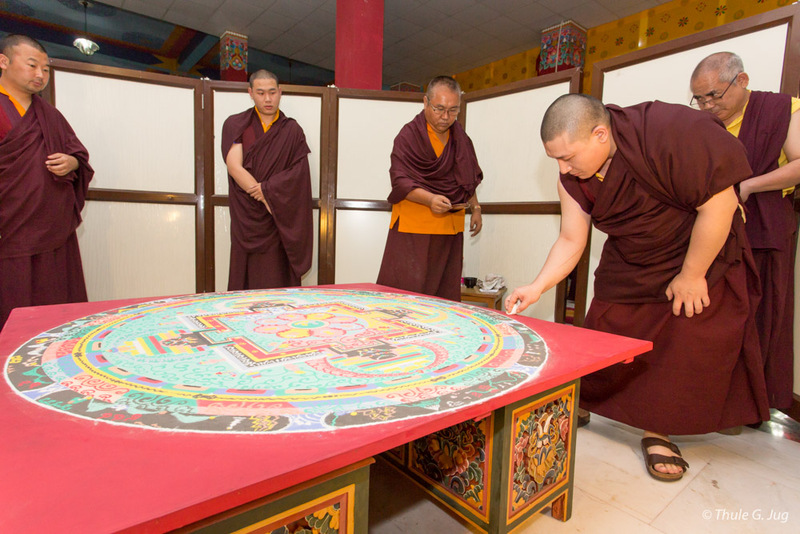 An intricate Chakrasamvara sand mandala was also constructed, blessed by Karmapa, and at the conclusion of the ceremonies symbolically destroyed, as a reminder of impermanence.